Iron is vital for our overall health, and even though it is found in numerous foods, many people are deficient in it. This is mostly because it is not easily assimilated into our body, as our digestive system faces difficulties to extract it from the consumed foods, and store it. It is a vital component of hemoglobin, whose role is to transport oxygen from the lungs throughout your body. The body won’t be able to get the needed oxygen without healthy red blood cells. This fatigue affects the function of the brain as well as the ability of the immune system to resist infections. In the case of pregnancy, severe iron deficiency raises the baby’s risk of being born too early, or smaller than normal. The daily recommended intake of this mineral for adolescents and women is 9 mg, as women need to compensate for the lost amounts during menstruation. After menopause, the need for this mineral in women decreases, as the menstrual cycle ends. At this stage of life, women need the same iron amount as men, which is 8 mg daily. On the other hand, toddlers and infants need higher iron levels as this mineral is crucial for their growth. In childhood, boys and girls need the same daily amount of iron, which is 10 milligrams d from ages 4 to 8, and 8 mg from ages 9 to 13. Moreover, it is also very important during pregnancy, and the daily intake should be 20mg in order to ensure a healthy development of the fetus. Iron deficiency is the most common nutritional deficiency in the U.S. and about 10% of women are deficient in this mineral, as reported by the Centers for Disease Control and Prevention. The early symptoms of iron deficiency or anemia in the body include exhaustion, fatigue, pallor, and poor infections resistance. Moreover, the excessive levels of iron in the body, or a condition known as hemochromatosis, can also be harmful. It is one of the richest iron sources. Spinach is low in calories and high in antioxidants and vitamin A.
Pumpkin seeds contain 3.3 mg of iron per 100 grams, and high amounts of magnesium, zinc, phosphorus, vitamins A, E, F and those of group B. Additionally, they contain all the essential amino acids. Pumpkin seeds are also rich in fatty acids and polyunsaturated fatty acids. It provides 1 mg of iron per 100 g, which is 6% of the recommended daily intake. Moreover, it provides 168% of vitamin C recommended daily dose for adults, and this vitamin supports the iron absorption in the body. 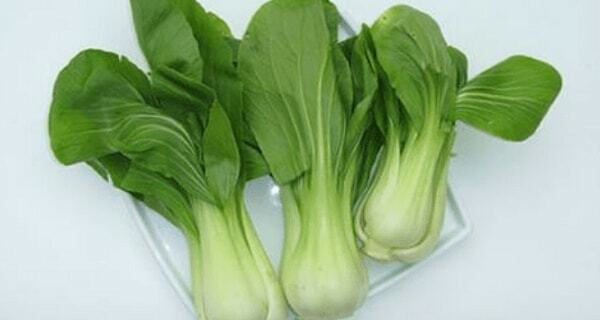 It is also a rich source of folates, vitamin K, and fiber. A portion of 30 g contains 3.2 mg of iron, which is 18% of the recommended daily contribution. It is also high in magnesium and copper, as well as prebiotic fiber, which is beneficial for the friendly bacteria in the intestines. It lowers cholesterol levels and reduces the risk of strokes and heart attacks. Researchers have found that cocoa powder and dark chocolate are more powerful antioxidants than acai berries and blueberries juice. Nuts, dates, almonds, pistachios, hazelnuts, figs offer about 2.4g to 3mg of iron, and boost energy levels. They also create a feeling of satiety and help the weight loss process. Lentils offer 3.3 mg of iron per 100 grams. They are also abundant in fiber, magnesium, and vitamin B.
Kale exceeds the recommended daily amount of many vitamins, a 512% vitamin A and 200% vitamin C, and provides 1.5mg of iron per 100 grams. Moreover, it is rich in vitamin K, which maintains the health of bones, and fiber, which prevents constipation, lowers cholesterol, and slows down the passage of glucose into the blood. This soy-based food is loaded with iron, and126 g of tofu provides 3.6 mg of iron, which is 19% of the recommended daily intake. It is also abundant in thiamine, magnesium, selenium, and calcium. The isoflavones it contains lower the risk of heart diseases, and treat insulin sensitivity and menopausal symptoms. Beet contains 1.8mg of iron per 100 grams and is also high in magnesium, betanin, and calcium. It supports the healthy function of the liver, while the high folic acid levels help the assimilation of carbohydrates. It is loaded with iron, as it contains about 1.8 milligrams per 100 g. It is also a rich source of copper, potassium, and zinc. The regular consumption of legumes has been found to control blood sugar levels, help weight loss, and lower the risk of colorectal cancer. Furthermore, note that you need to ensure a proper assimilation of this important mineral despite only consuming iron-rich foods. Certain compounds, like calcium, might prevent the proper absorption of iron, so make sure you also increase the intake of foods rich in vitamin C, like oranges, lemons, tangerine, and kiwi.